Last week, the Internet was abuzz with news of Libya protests and U.S hurricanes, and just as the normal public is about to be overwhelmed by all that, there came another story that shocked many around the world. Steve Jobs finally resigned from his duties as CEO of Apple, a company that has more money than the United States government. The news was met with shock, awe, disappointment and more importantly a huge feeling of respect for this great gentleman who’s achieved so much during his lifetime. We, at FOSS community, have often ridiculed and criticized Steve Jobs for his locked-down approach towards his growing array of innovative products. His belligerent attack on his opponents has earned him a reputation for being slightly petulant. Having said that, he’s still perceived as one of the most brilliant minds of this century and a great source of inspiration. 1975: Steve Jobs met another Steve, Steve Wozniak who was computer wizard. 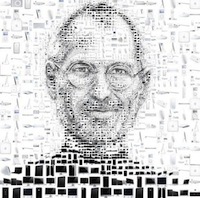 Some people believed that Steve Jobs started it all by himself. However, the truth is that Steve Woz was the real brain behind Apple computers. Steve Jobs, who has never written a single line of code in his life (according to Woz) is just a fantastic businessman and visionary who managed to sell computers like no one else did. It was in the same year that Wozniak came out with Apple I. 1976: Apple Computer Inc. was founded by Jobs, Wozniak and Ronald Wayne. 1977: Apple released its latest computer called Apple II that sold more than 5 million units. 1984: Apple introduced Mac with a revolutionary commercial directed by another genius Ridley Scott. The ad was named 1984 based on Orwell’s famous book by the same name. It featured an unnamed heroine representing the coming of the Macintosh as a means of saving humanity from "conformity". It is still regarded as one of the best commercials of all time. 1985: Scully fired Steve Jobs. The following year, Jobs bought Pixar for $10 million which was another life-changing move by him as Toy Story went on to become a huge success in 1995. 1996: Jobs returned to Apple; the glory days had begun. 1998: Apple introduced the iMac, the computer that came in many colors. 2001: This is the moment that made Apple a household name. It was the introduction of the iPod. The little gadget crushed its competitors like the Walkman and other MP3 players, thus becoming a phenomenon worldwide. 2003: Apple introduced the iTunes store. The music industry was never the same again. 2007: Steve Jobs unveiled what is called the mother of all smartphones, the iPhone. This move took Apple to heights it had never imagined before. 2010: The iPad is introduced. 2011: Steve Jobs resigned as CEO of Apple. Tim Cook is appointed as the new CEO. Love him or hate him you simply can’t ignore the man. Lately there have been lots of speculations about his health, some even saying that his cancer has returned that made him take this decision. Whatever may be the case; we wish Mr. Steve Jobs good luck for his future endeavors, and hopefully we will still witness more “magical” innovations coming from him.